In the past four years, the gross NPAs of banks have climbed up from 2.36 per cent to 4.3 per cent of total assets to Rs 3,23,344 crore. If there is one thing that shows the extremity of stress that India's banks, especially government-owned, are facing, it is the increasing frequency with which these two words - Bad Bank - are being used in North Block, home to the finance ministry. A Bad Bank buys stressed loans of banks with high non-performing assets, or NPAs, at the market price. This way banks clear their balance sheets of bad assets but are forced to take write downs. For instance, at a recent pre-Budget meeting with Finance Minister Arun Jaitley, some economists proposed the setting up of a Bad Bank to get rid of the banking system's Rs 8 lakh crore stressed assets. It is not a new concept. China, for example, has four such banks. They ensure that restructuring, reviving or even further sale of such assets/loans gets focused attention, something that banks are at times not able to do. Some are even listed on exchanges where investors bet on their ability to make money from junk assets. Back home, the Executive Vice Chairman and Managing Director of Kotak Mahindra Bank, Uday Kotak, is also experimenting with the concept. Days after acquiring ING Vysya Bank, Kotak decided to set up a Bad Bank within the merged entity by transferring NPAs and stressed loans of the acquired bank so that they get special attention. "Not everyone (referring to PSU banks) can do it as this requires specialised manpower," says a banker. Be it Bad Bank or the Bankruptcy Bill that is at present with a Parliamentary joint committee, the market is desperately praying for an early solution to the problem of ballooning bad loans. And it would not come a day too soon. In the past four years, the gross NPAs of banks have climbed up from 2.36 per cent to 4.3 per cent of total assets to Rs 3,23,344 crore. According to the Reserve Bank of India's, or RBI's, Financial Stability Report, mining, iron & steel, textiles and infrastructure, including power and aviation, which account for a quarter of advances, have more than 50 per cent share in the total stressed loans. These sectors are critical for an economic revival. This is also constricting banks' ability to lend, delaying the recovery in corporate earnings. The total stressed loans, including restructured assets, of a little more than Rs 8 lakh crore are almost equal to what Railway Minister Suresh Prabhu plans to invest in the next five years to spruce up the railways. In such a scenario, for government banks, which account for 80-85 per cent share of the total NPAs, the RBI's special debt restructuring, or SDR, scheme is a godsend. Under the SDR route, banks are allowed to take majority control to restructure, revive or even sell the defaulting company to private equity, vulture or special situation funds. The rule has been invoked for over 15 companies such as Gammon, IVRCL, Monnet Ispat, Electrosteel and Visa Steel. Religare, an institutional broking firm, has estimated that the cases where banks have invoked SDR involve a debt of Rs 81,300 crore. However, a comprehensive solution, even with SDR, will not be easy to come by. "It doesn't solve the problem of ballooning NPAs but merely exacerbates it by postponing and obscuring the recognition of NPAs," it says. Kotak also has some reservations. "If there is genuine equity, I will be happy. But if they are merely finding ways to postpone provisioning, it is not a good thing," he says. This is exactly what happened under corporate debt restructuring (CDR) where banks, in collusion with promoters in some cases, used the mechanism to merely postpone provisioning. The RBI, under Raghuram Rajan, has discontinued regulatory forbearance for CDR. It is a voluntary mechanism under which financial institutions join hands to restructure loans of companies facing financial difficulties. The aim is to revive the companies and safeguard the interests of lenders and other stakeholders. "One of the biggest aspects of free enterprise is failing in a relatively efficient way that does not impose significant cost"
In another worrying sign, the asset reconstruction company, or ARC, space, buzzing with activity till a few months ago, has been silent for a while now. The earlier action was partly a result of ARCs buying more debt before the RBI increased their minimum mandatory contribution from 5 per cent to 15 per cent of the book value of the debt that they take. A late entrant to the ARC market, Edelweiss ARC had, in a short span, built a huge book with bad assets under management of Rs 20,000 crore. Some big companies whose bad loans Edelweiss took over include Bharati Shipyard and Electrotherm. However, it remains to be seen if ARCs are up to the job of cleaning the NPA mess. The amount of bad loans they have taken over is a minuscule part of the total NPAs. This is because they, too, have limitations. Siby Thomas , MD & CEO of Edelweiss ARC, admits there are capital constraints. "There is an urgent need for a robust legal system like a bankruptcy code to attract foreign capital like private equity," he says. However, the question remains whether some responsibility will be fixed at the level of banks, too. While experts often end up blaming the government or the regulator, the root cause is actually the bank itself. "Banks are best suited to resolve the challenging loans," says Kalpana Morparia, the CEO of JPMorgan India. Morparia has worked for over three decades in the country's largest private bank, ICICI Bank. Clearly, PSU banks have lax credit appraisal standards and corruption, and suffer from near absence of monitoring and management bandwidth to understand risks in a modern economic environment. Otherwise, a private bank like HDFC Bank, which operates in the same environment, could not have had net NPAs of just a quarter percentage point. That is why there is a need for banks to build credit scoring models, do stress tests and carry out effective risk management. SBI Chairman Arundhati Bhattacharya is one person who claims to have taken action in the stressed SME segment, where bad loan are rising the fastest. "The person who goes out and markets (the SME loan) is also the person who puts up the proposal and holds the account," says Bhattacharya. The idea is to bring a sense of ownership which, in turn, will yield results. 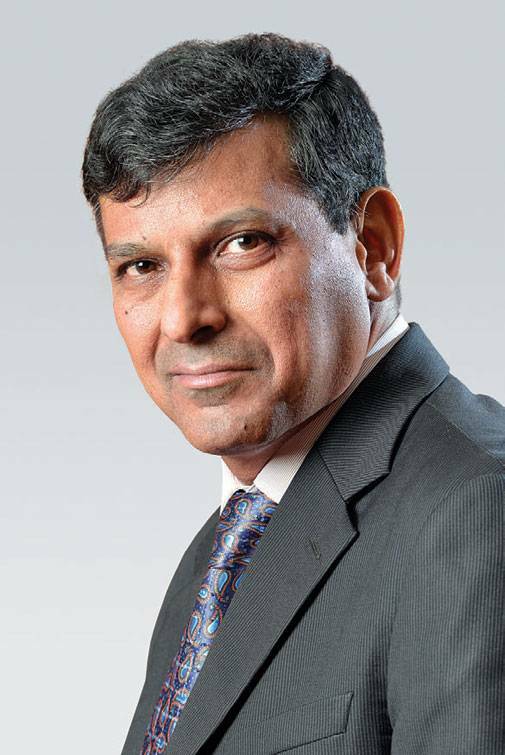 Rajan has also taken some steps, the most important being the creation of a database for early warning signals where banks will share stressed loan data. In an interview to BT two months ago, Rajan had said, "One of the biggest aspects of free enterprise is failing in a relatively efficient way that doesn't impose significant cost. You have to fail and stand up and walk. We need our businesses to be able to fail effectively. That is work in progress." In the meantime, the stress in the banking system, on which the entire economy depends, is eating away banks' profitability as well as capital. This is also restricting their ability to lend to productive sectors. If something is not done urgently by banks or the government, the day is not far when our good banks turn into bad banks.